Pages 1 to 14 show data and examples for students to work on a pathway to obtain a career ready goal. Pages 15 to 18 will be copied for students to complete and keep updated. Click HERE for the viewable document described. We invite you to be part of something transformational at USD 329 Wabaunsee Schools. We have a dream and are passionate about being the best. We are the FIRST Kansas school district to implement, districtwide, The Leader in Me, FranklinCovey’s whole school transformation model and process, developed in partnership with educators, for K-12 schools. The process empowers students with the leadership and life skills they need to thrive in the 21st century. The Leader in Me helps students learn how to become self-reliant, take initiative, plan ahead, set and track goals, do their homework, prioritize their time, manage their emotions, be considerate of others, express their viewpoint persuasively, resolve conflicts, find creative solutions, value differences, and live a balanced life. The process helps students develop the skills and self-confidence they need to lead their lives and succeed in school and beyond. Beginning with the end in mind, we want our students to be empowered in and responsible for their future. We are passionate about providing our students the best possible learning environment, to become the best they can be. We expect our staff to get the most out of each student. To see academic progress we must first take care of the “soft skills.” We need our students to be responsible for their learning. To accomplish these goals, we need to put first things first through a vetted and continuous process. The Leader in Me provides us the means, training and materials to facilitate transform-ational change. It provides students and staff specific training to become self-managers. 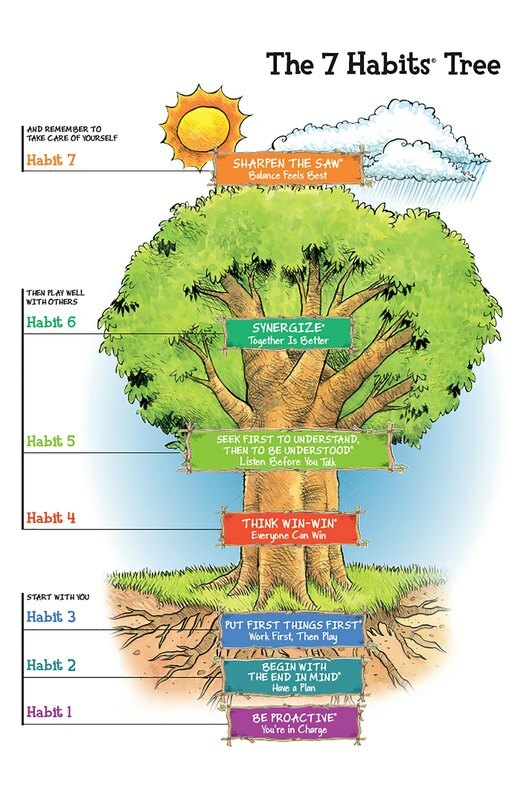 The Leader in Me utilizes and integrates several leadership, social-emotional learning, quality, and educational models, including The 7 Habits of Highly Effective People. It also includes student participation in goal setting, data tracking, leadership roles, Student-Led Conferences, leadership environments, and Leadership Events. People who are thriving in today’s reality are good listeners and team builders. They synergize! Students need academic skills, as well as analytical, critical thinking, problem solving and creativity skills to succeed. Schools must be transformed from having to deal with disengaged students, bullying, discipline issues, low attendance and student loneliness. Schools must shift from management mentalities to leadership paradigms. All students need to be given responsibilities and know they are trusted. Instead of seeing ourselves as managers or controllers, we must see ourselves as leaders who release students’ talents and energies. Students must learn social-emotional, personal and interpersonal skills in school. These skills are necessary at work, in a career, in college, and daily life. Many students approach college, work, parenthood and life without them. This deficit explains, in part, why more than 30% of students drop out of college in the first year or are remediating courses. These skills, according to the Kansas State Department of Education, are what Kansans want to see in students. The Kansas State Board of Education and Kansas Department of Education have identified and adopted the teaching of 21st century career and college readiness skills. Albert Einstein warned, “We cannot solve our problems with the same level of thinking that created them.” Dr. Martin Seligman, a world renowned psychologist, has become the father of positive psychology, and concluded that raising children is far more than just fixing what is wrong with them. It’s about identifying and amplifying their strengths and virtues, and helping them find the niche where they can live these positive traits to the fullest. 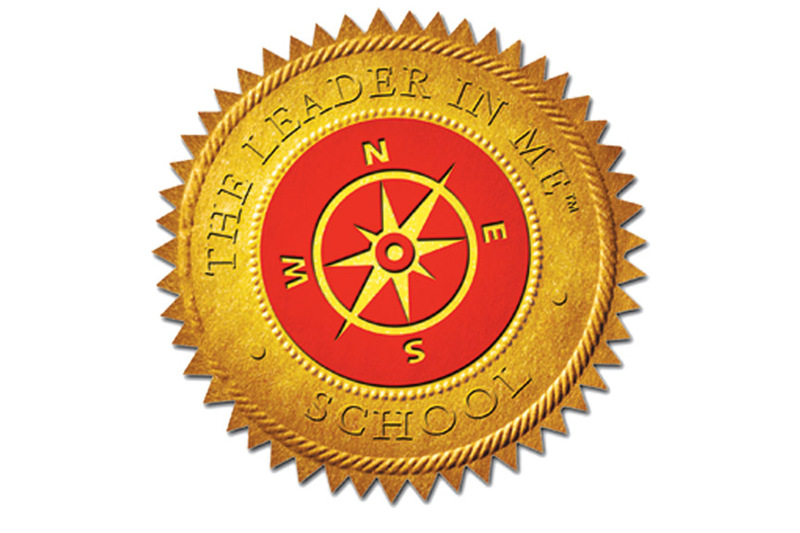 With The Leader in Me process students lead, have roles, perform community service, and take personal accountability. Some amazing statistics from Leader in Me schools include: 71% of schools saw attendance improvement. Students want to be in school and feel safe and empowered; academic scores saw an 11% increase in literacy, 7% increase in science scores, and 8% more likely to be on benchmark for math; 82% of parents said they were satisfied with leadership qualities emerging in their children. Parents are engaged, and support the process; and schools experienced a 42% decrease in discipline referrals. Business partners want to invest in this process as it teaches students the employability, soft skills they desire in their employees. We welcome you being a part of this process.